"No matter what culture we're from, everyone loves music." - Billy Joel. Share your love of music with everyone you know! 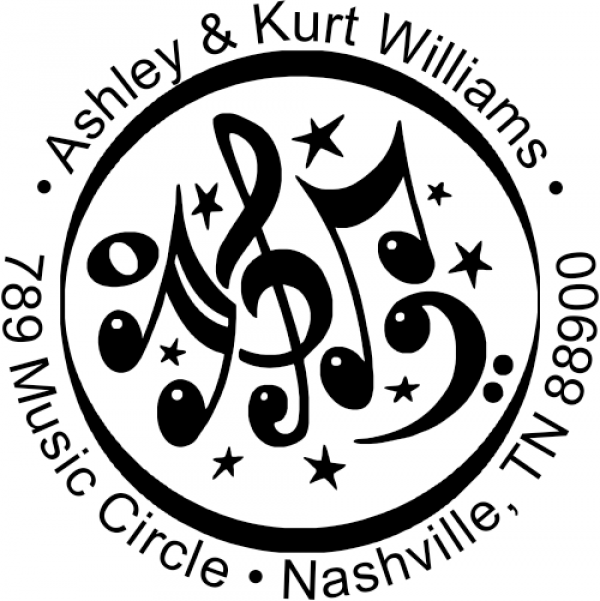 The Music Circle Round Address Stamp features several musical notes dancing in the center. Around this your name and address are placed. 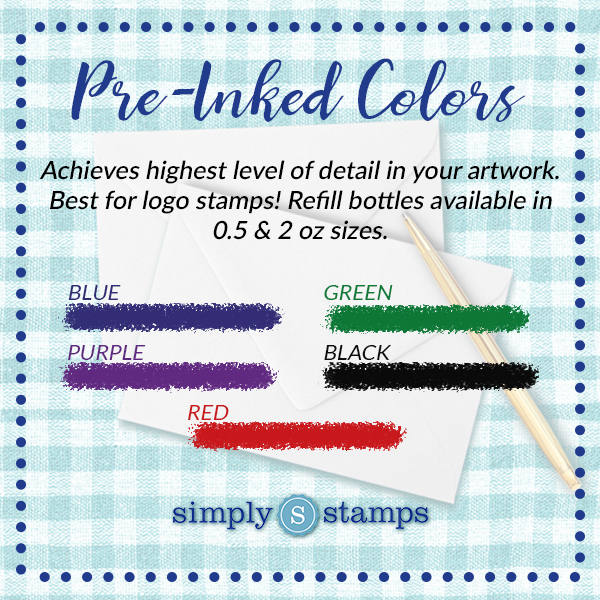 It's simple to personalize your rubber address stamp! All you need to do is fill in the fields below with your information. 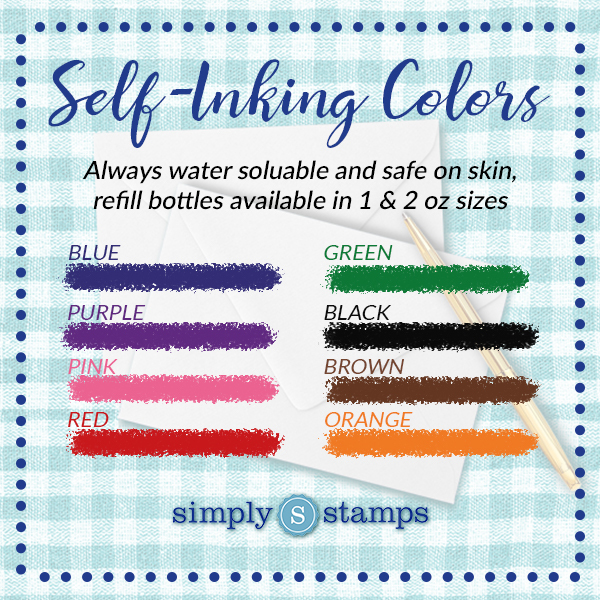 Choose your stamp style, color and size, then click Add To Cart. All of our stamps are proudly hand made in the USA. Music Circle Round Address Stamp Regardless of what end of the world you come from or where you currently live, music is a universal language. This is one of the most popular stamps when have in our music collection. On the outside of this design, your name and mailing address are presented nicely in print around the design. 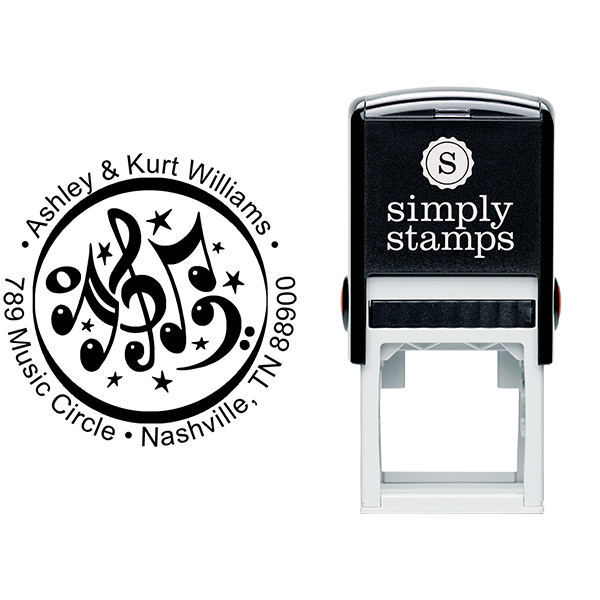 The design of this self inking stamp is a bold-line circle that houses stars and magical music notes. The bubbly musical notes are bold and brightly created with a reflection. 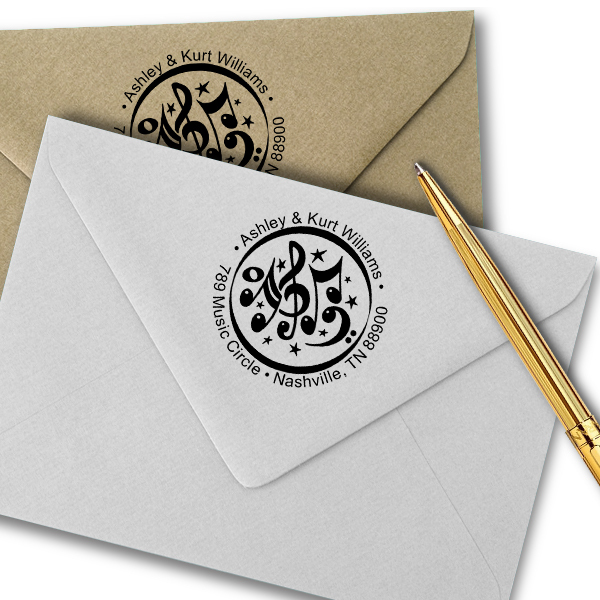 Take advantage of your chance to showcase your musical notes on your envelopes and other packaging items. Order your custom Music Circle Round Address Stamp today!